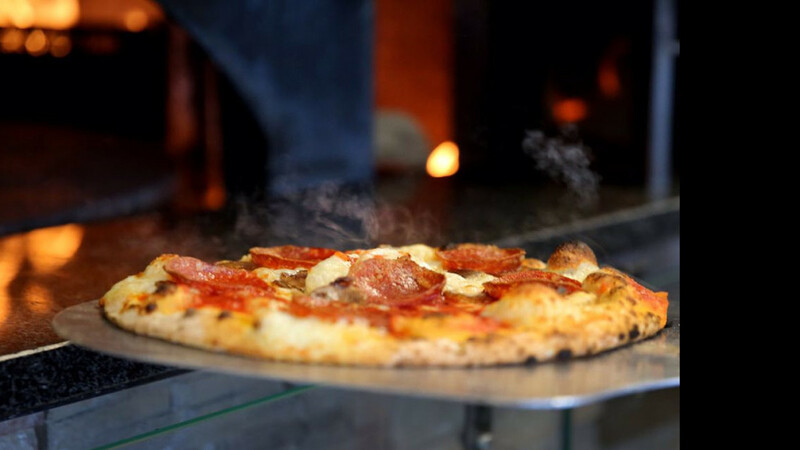 As you open the door at Firehouse Pizza, you will smell the aroma of a wood fired 1000 degree grill and fast fire'd rotating oven as it fires pizzas to perfection. Pick your toppings, sauces and gluten free choices. Order to go, or eat in-house. 11" Old World style with fresh mozzarella, 6" Detroit style, family pack specials, salads, extras, desserts and drinks. Beer and wine can be ordered in house only. As soon as you pay, and pick your beverage, your pizza will be done, with the fastest cooking times in the west! The crust will be crispy, and the cheese will be hot with every bite!